Crowds of fans watching their loved ones run in the Boston Marathon. Family and friends cheering on Daniel Hincapie near the 10-mile marker. His run is a mission to keep his fiance's legacy going. Wendy Martinez' mother, Cora spoke to us last year. "We use to be good friends great friends." WELLINGTON, Fla. — Crowds of fans watching their loved ones run in the Boston Marathon. Family and friends cheering on Daniel Hincapie near the 10-mile marker. His run is a mission to keep his fiance's legacy going. Wendy Martinez' mother, Cora spoke to us last year. "We use to be good friends great friends." Last September, 35-year-old Wendy went for a run in a Washington D.C. neighborhood, where she was fatally stabbed. A man was arrested. Her family lives in Greenacres. They were heartbroken to hear of her tragic death. Just weeks before she died, she was engaged. 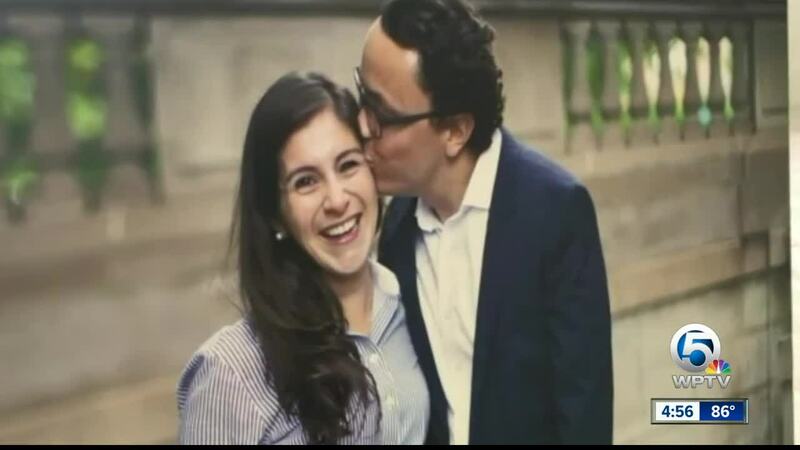 Her friend, Luz Heine, who is at the Boston Marathon said, "We would lean on each other for big decisions for any happy moments, any sad moments she was the person I would turn to." Turning their pain into support for Hincapie who started training for the marathon after her death since Wendy loved to run. "We are going to miss her greatly," added her brother.